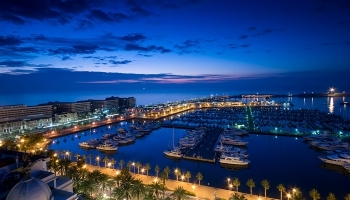 The Costa Blanca is one of the hottest and most sought-after regions in Spain for people looking for a property. Thanks to its wide diversity, property developers and property agents can offer a wide range of Costa Blanca villas and apartments. Further inland, we have a far more ambient climate, whilst still being within an hour of two major airports. Despite the recession, and due to tumbling property prices, Costa Blanca property sales to foreign resident and tourists are estimated, incredibly, at just under sixty-six thousand which is why, many foreigners choose a Costa Blanca property when it comes to purchase a home abroad. 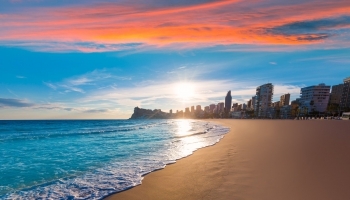 Doubtless, Costa Blanca offers its visitors and residents one of the best ranges of amenities in Spain through its pleasant weather, beautiful beaches, mountains and cultural heritage that makes these properties the most popular among Spanish property for sale. So if you are looking for villas in Costa Blanca then use us to make your purchase a success. As mentioned before there is a great demand for Spanish luxury villas, not only from Britain but also from other countries with a colder climate. The wide range of villas on offer sometimes makes it difficult to find the right villa for sale in Costa Blanca that you are looking for. This is where we bring our years of experience to bear to help you find the right area and property for you. Costa Blanca offers it all, it does not matter if you are looking for relaxation or entertainment. Contacting Stratus International is your first step towards finding that traditional farmhouse or villa you have always been looking for; we offer you the possibility of finding the Spanish property of your dreams.